British design company TOM DIXON continues its adventure in lighting and furniture at Superstudio Piu during the Milan Design Week in April 2009. The new collection has the very topical theme of UTILITY and the mineral world provides the objects with a new focus. The 2009 collection uses some of the most basic and primitive of materials, re-thought for the modern age. Demonstrating the virtues of longevity, toughness and weight the new collection speaks of the need for robustness and honesty in design. 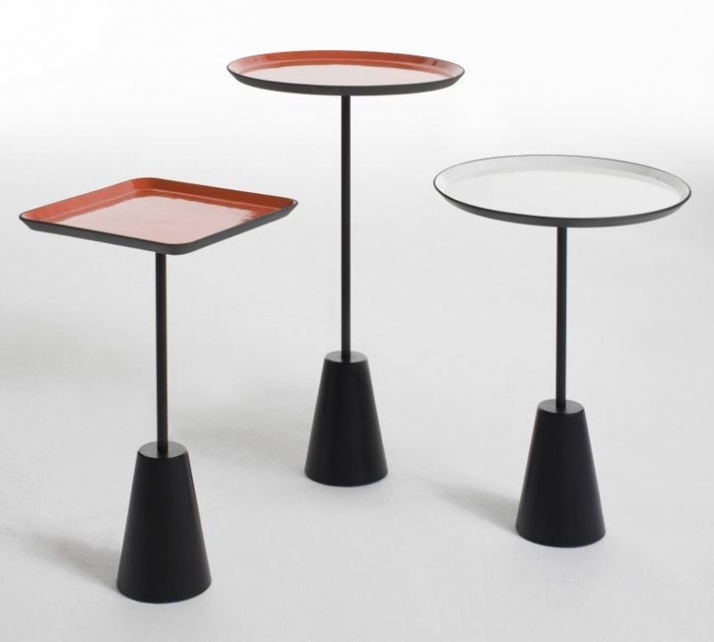 New products include pressed glass lighting, stone tables, and vitreous enamel occasional tables; all illustrating simple, reduced shapes and heavy weight construction, finishes and materials. Minimalism, bling and functionality, all in one copper-plated package. 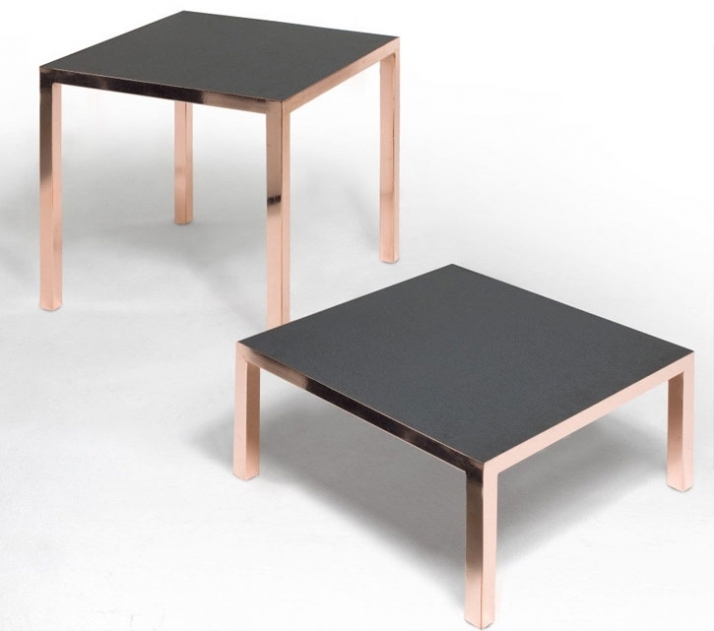 The Block Table has elegant electroplated copper legs and granite top, perfectly flat sided, allowing tables to be placed together in multiple configurations. The stone surface is heat resistant and treated to minimize grease marks. There are adjustable feet to protect the floor surface and allow for uneven floors. Available in two sizes dining table and coffee table. 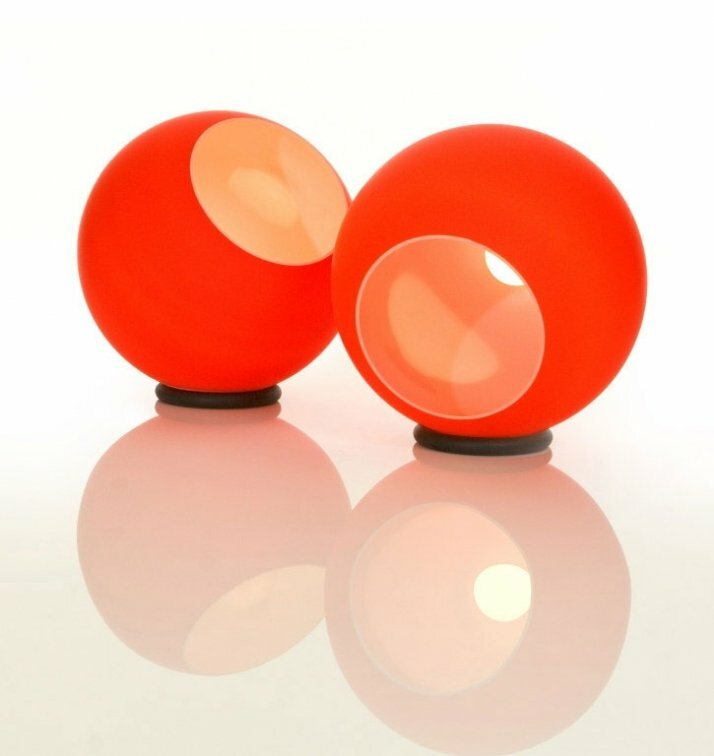 Made from blow moulded polycarbonate, externally powder coated in fluorescent orange and demonstrating Tom’s passion for roughness, the Fluoro Shade is inspired from heavy duty work paints in industrial factory environments. 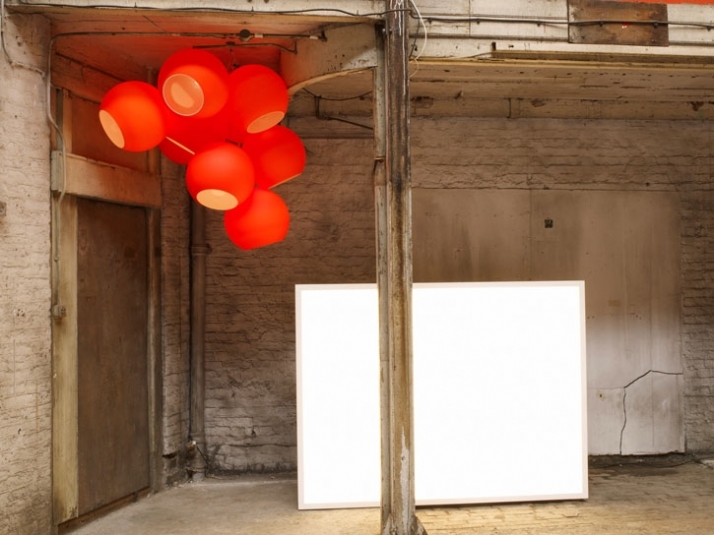 A colour often used in high visibility safety clothing, Fluoro Shade brings an energetic light source to any interior either used alone or grouped as multiples. 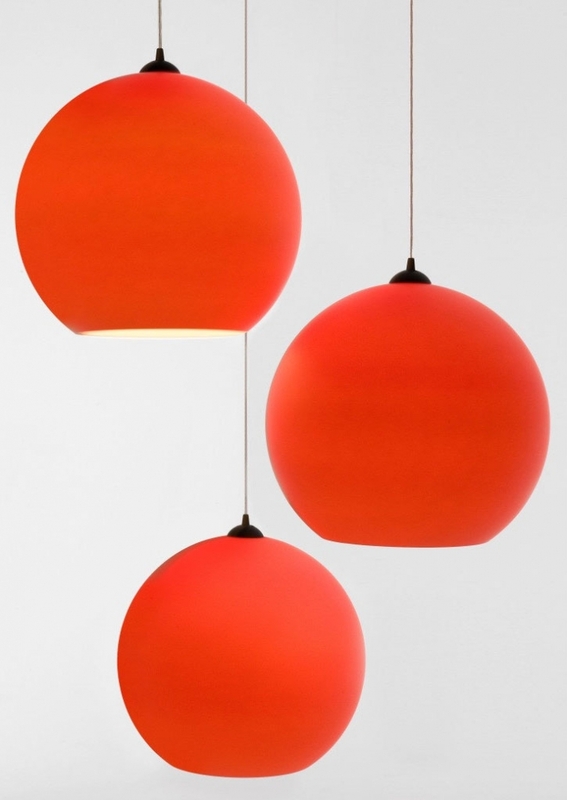 The Fluoro Shade is available both as a Pendant or Floor version. The Screw Table allows for many surfaces and functions. 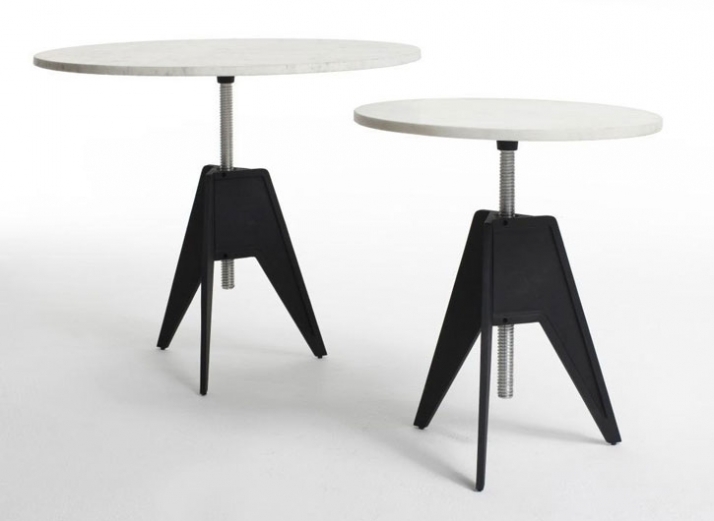 Dining, coffee and side tables from one bomb proof heavy cast iron tripod and a solid marble top. 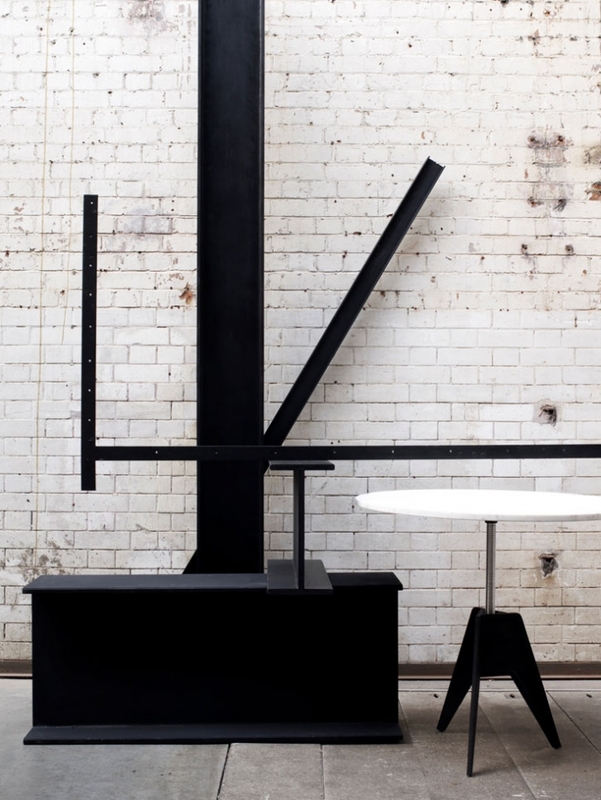 The combination of materials form a surprisingly elegant café table. The industrial strength aluminum screw allows for multiple heights by simply spinning the top. 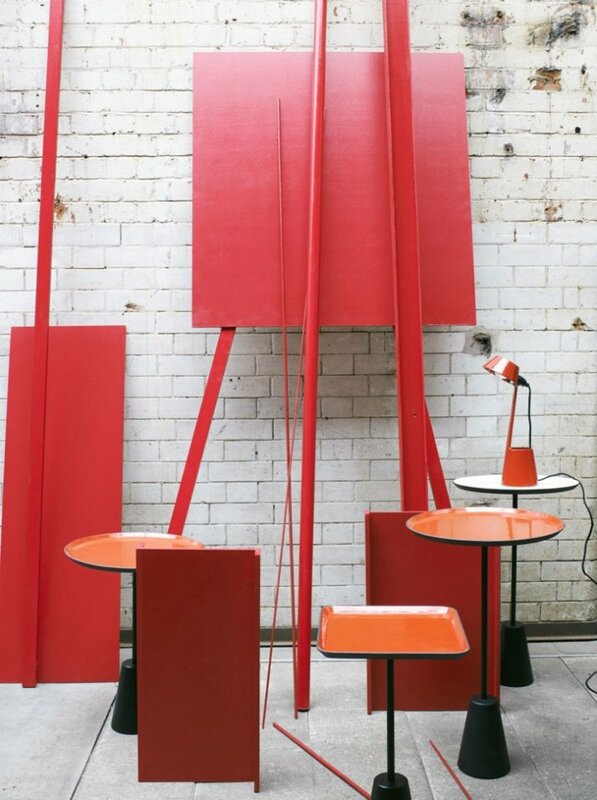 The Spot Tables are enamel coated tables that consist of a heavy weighted base with two different height stems with either a square or a round top. 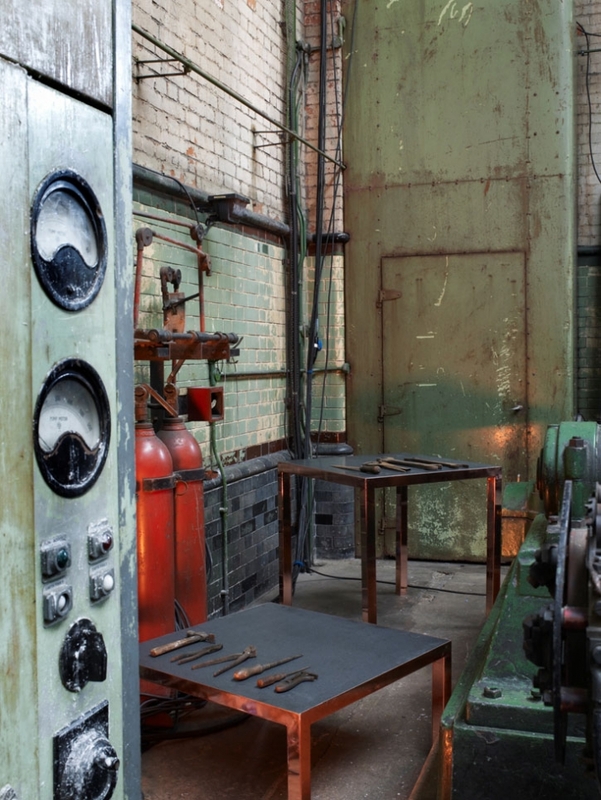 Coated in heavy duty vitreous enamel, an ultra hygienic and industrial process in which particles of glass are sprayed on to cast iron, and then fired at furiously high temperatures. Not only are the results highly functional, the materials qualities are extremely hard wearing with an extraordinary depth of colour. The two different heights can be interchanged as desired with either a square or circular top. Enamel colours available are black, white and burnt red. 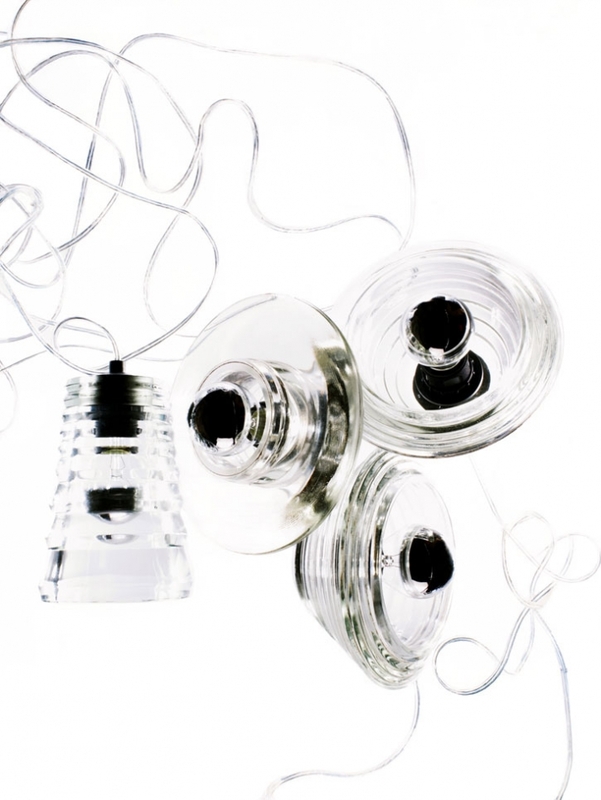 These glass lamps show all of the beauty and honesty of heavyweight industrial components. Available in three shapes Tube, Bowl and Len they are exceptionally hardwearing, dense and satisfyingly heavy. This collection bears the sinuous marks and imperfections of the manufacturing process giving these robust forms reference to their industrial pedigree.